In recent years, scientists have applied the principles of complex systems science to increasingly diverse fields. The results have been nothing short of remarkable: their novel approaches have provided answers to long-standing questions in biology, ecology, physics, engineering, computer science, economics, psychology and sociology. 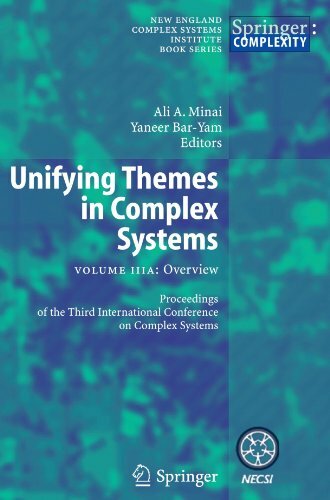 The Third International Conference on Complex Systems attracted over 400 researchers from around the world. The conference aimed to encourage cross-fertilization between the many disciplines represented and to deepen our understanding of the properties common to all complex systems.